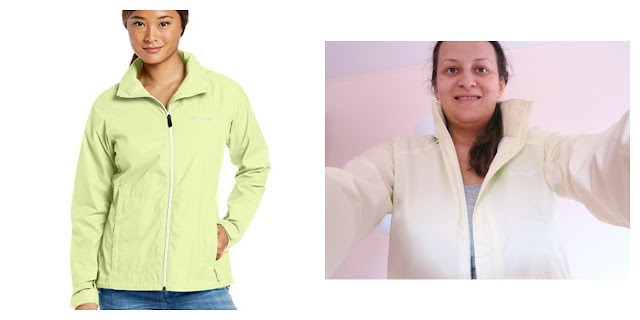 Hello, today I am doing the unboxing of the rainjacket. It comes in many colors. I am thinking to maybe return this one and get in color pink. Watch youtube video at the bottom. If you want to layer it then size up. I got in size large and its ok. This jacket is great for traveling as it is really lightweight and not take much space at all. It is packable into its own pocket.